I renewed my membership in the Hemingway Society the other day and jotted down the location and dates of its next international meeting — in Paris in 2018. I may not get there, but I WILL continue to buy new books about Ernest Hemingway and his art. You’d never guess he’s been dead for more than half a century. Unlike the case with his contemporaries — among them Sinclair Lewis, William Faulkner and F. Scott Fitzgerald -— huge numbers of readers still buy his books, and every year experts write new biographical and analytical works about him. “Hemingway, Style, and the Art of Emotion” by David Wyatt. “Hidden Hemingway: Inside the Ernest Hemingway Archives of Oak Park,” by Robert K. Elder, Aaron Vetch, and Mark Cirono. “Writer, Sailor, Soldier Spy: Ernest Hemingway’s Secret Adventures, 1935-1961” by Nicholas Reynolds, ordered from Amazon today. I’m a tad dubious about this one, but it’s getting good reviews. I wish my University of North Dakota friend and mentor, the late Dr. Robert Lewis, 1930-2013, a founder of the Hemingway Society, was still here to discuss them with me. Excellent compilation of books about Hemingway. I have a number of volumes too on “Papa,” varies a bit from your list. There so many, which is good. 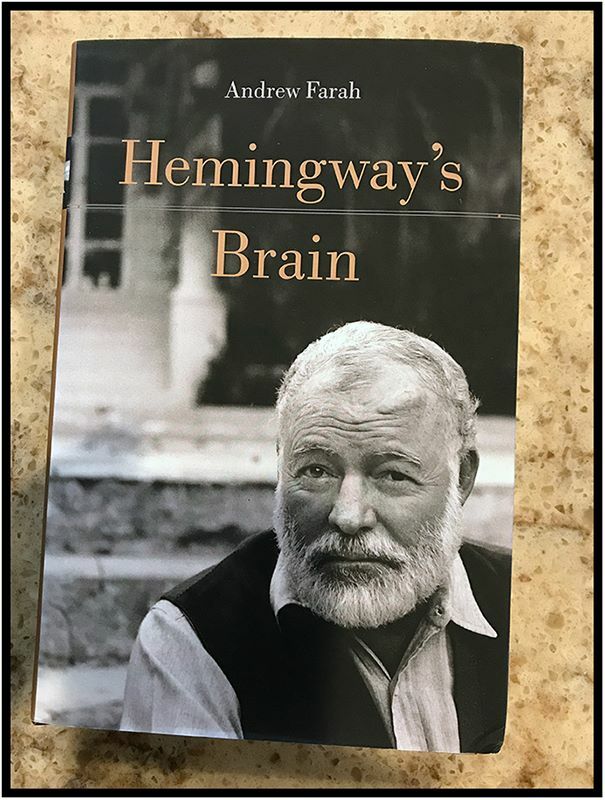 That new one, “Hemingway’s Brain,” sounds very interesting and checked for a Kindle edition. There is such, however the publisher wants $19.95 for a 196 page Kindle book. Highway robbery! However, Jack Benny here may have to pay it. At least I’ll watch for a price drop. As you point out, it’s very new. That Hemingway festival in Paris sounds fantastic. Thanks for another informative and inspiring piece, Dave.